The final numbers are almost in, and 2016 will turn out to be a record-breaking year. As home values appreciated during the year, new record high home prices were set with each passing month. Before we unveil our predictions for 2017, let’s take a quick look at November’s data. The market is finishing the year on an upswing. The volume of sales across the Front Range increased 27.3% in November on a year-over-year basis, by far the largest volume increase of the year. In Jefferson County, sales volume increased 42.8% on a year-over-year basis in November. Strong sales in November and a scarcity of new listings coming on the market caused the supply of inventory to contract even tighter. Along the Front Range, the supply of available homes for sale fell to 1.6 months in November, and Jeffco’s inventory dipped to 1.2 months of supply, both tighter than last year at this time. The number of homeowners in Colorado that are “under water” with negative equity is only 2.1% according to a recent report from Core Logic. 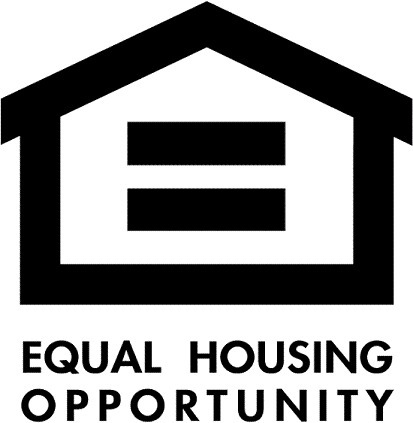 The other 97.9% of homeowners have positive equity, and often significant positive equity. These gains will spur many to list their homes for sale to take some profits. New listings, of course, will increase the supply of homes on the market. Unfortunately, there won’t be enough new listings coming onto the market to satisfy current demand. Demand for housing is driven by two primary factors: jobs and interest rates. Job growth is gaining momentum. Unemployment in Colorado fell to 3.5% according to the most recent Bureau of Labor report, and 63,400 new jobs are expected to be created in 2017 according to CU’s Business Outlook Report. The job market for millennials, in particular, has recently improved which should translate into more first-time homebuyers. On the interest rate front, rates are still low by historical standards as we enter the new year. That said, rates have ticked up about half a percent this fall. And with the Fed’s recent decision to raise the federal funds rate a quarter percentage point, we can expect further mortgage rate increases. Paradoxically, rising rates may spur demand in the market, as prospective homeowners realize that higher rates may shut them out of the market for a long time to come. We are already seeing this new sense of urgency among buyers this fall. Job growth and low, but rising, interest rates will give consumers, especially first-time homebuyers, the confidence to enter the market. However, those buyers will have to compete for a limited supply of inventory, thwarting many from actually completing a purchase. The end result will be flat to modest increases of 0% to 5% in the volume of real estate sold in 2017 compared to 2016. Headlines throughout 2016 proclaimed that the market was cooling and home price increases were slowing down or even falling. In reality, prices did not fall in 2016, but the rate of appreciation did indeed moderate from double-digit gains to the 6% to 9% range. We expect to see appreciation rates hover in the 6% to 8% range in 2017, with the distinct possibility that annual appreciation will approach 10% this spring before settling back down by year’s end. The conditions of low supply and high demand that drive up prices are firmly in place and more pronounced today than a year ago. Of course, as real estate professionals, we can make predictions, but we cannot dictate what the market will do. That said, we remain committed to keeping you up to date and knowledgeable. As market events unfold in 2017, you can count on us to cut through the noise so you can make informed real estate decisions. Ok, full disclosure – these market predictions are exactly the same as the predictions we made in this newsletter…. for 2015! Two years ago! In fact, the exact text was used, with only a few adjustments. Naturally, we changed the dates. We also updated specific data points. For example, the percentage of homeowners with negative equity is now just 2.1% compared to 4.1% two years ago, thankfully. The only substantive change to the text was in the paragraph about interest rates. Like two years ago, rates are low. Unlike two years ago though, rates are on the rise. And finally, we changed the subject line. Two years ago, the newsletter was titled “Welcome to the New Normal”, which proved to be quite prescient. Our projections were a “reprint” of 2015’s predictions not to play a trick on our readers, but to illustrate just how stable and predictable the market has been. This abnormal market of extremely low inventory has indeed become normal. Someday the market will shift, as markets always do, and we’ll see more supply and flattening prices, but it’s not likely to happen in 2017. Next month, we will wrap up 2016 with the final year-end numbers and grade our predictions from last year. Sneak preview- our report card is looking good. In the meantime, I hope you and yours have a wonderful Holiday Season!